ForaCare Suisse AG announced a service-oriented partnership with B. Braun with initial plans to launch a new glucose monitoring system offering. 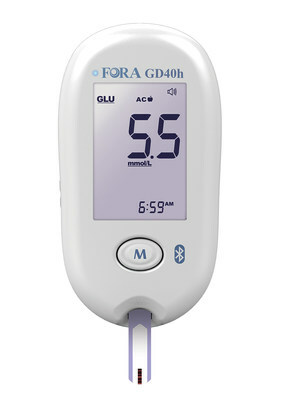 The FORA® Advanced pro GD40 Multi-Functional Monitoring System provides a complete blood glucose testing and data solution. The companies plan to offer additional services together including telehealth and self-care. To learn more about the current and future product offerings, visit ForaCare at upcoming Arab Health conference [January 28 - 31, 2019, Dubai DWTC] in the Swiss Pavilion. 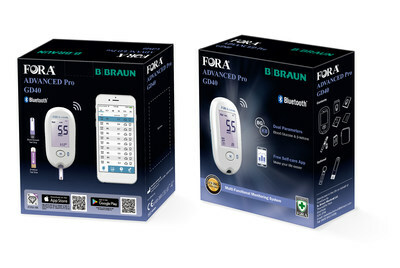 The FORA® Advanced pro GD40 blood glucose monitor integrates seamlessly to support a health monitoring system with a diabetes diary smartphone via the iFORA app, and an online infographic system via FORA Telehealth. The total system supported by B. Braun Diabetes Care consolidates all data allowing healthcare professionals to access on any internet-connected device. "ForaCare is pleased to partner with B. Braun to offer superior tools for health management that provide advanced technology solutions for patients," said Ty-Minh Tan, CEO of ForaCare Suisse AG. "Patients need to monitor their health whenever and wherever they are with access to their data in real time. This new complete product offering is one big step in helping patients do so in a sophisticated, yet simple way." Dual-parameter meter, for blood glucose & β-ketone measurements. Built-in Bluetooth chip - manage test results using a free self-care mobile app. One-button design, easy to use. Stores 1000 tests (memory capacity with date and time). Strip Ejector (inspired by professionals and caregivers). FORA® Advanced pro GD40 is clinically validated by AMCR Institute in the U.S. and is proven to meet accuracy and precision requirements of the ISO 15197:2013 and EN ISO 15197:2015. FORA® Telehealth System is a cross-platform system for secure electronic health record (EHR) management and is compatible with most browsers. Ease of use and transmission of data allows for better chronic disease management while saving patients time and money and improving the efficiency and effectiveness of medical care providers. ForaCare offers free self-care applications (apps) for users. FORA® HM is one app designed for multi-parameter health data management that is easy to use and easy to pair with devices. Data from measurements is automatically transmitted to a mobile device and is available for iOS and Android systems. See Apple Store / Google Play for all ForaCare apps. ForaCare Suisse AG is an established supplier of innovative and secure health care products. We distribute to the international healthcare market and have trusted bonds with varied clients. ForaCare is committed to improving the quality of life and focuses on continuous improvement and innovation in providing accurate and practical healthcare solutions in diabetes and hypertension care for home and professional use. All ForaCare monitoring devices are validated as highly accurate in the industry and provide superior quality directly to consumers. ForaCare devices comply with the latest ISO standards and have completed third party validations. ForaCare provides CE certified innovative health monitoring devices that provide a simple connection to the FORA® healthcare system. For more information, please visit http://www.foracare.ch. B. Braun is one of the world's leading providers and manufacturers of healthcare solutions today. Every service that B. Braun provides incorporates the entirety of their knowledge and skills, the company's deep understanding of users' needs, and extensive expertise since 1839. With its constantly growing portfolio of effective medical care solutions, B. Braun makes a substantial contribution towards protecting and improving people's health.